Product #22185 | SKU 2955H00480 | 0.0 (no ratings yet) Thanks for your rating! 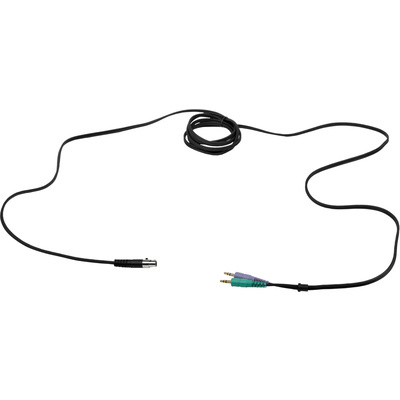 The 24.8 cm MK HS MiniJack Headset Cable from AKG is detachable and comes with a 6-pin mini XLR female connector for the headset and two 1/8" (3.5mm) male mini-jack connectors for the microphone and headphones. This cable is designed for the AKG HSC/HSD headsets and well-suited for PC and conferencing.